New York, NY January 21, 2015: With an absence of a number of years, the US welcomes back The Drifters and all their Top 10 Hits, including: "Stand By Me," "Under The Boardwalk," "This Magic Moment," "Up On The Roof," "On Broadway," and a host of others. Over the years there have been many "other" Drifters groups out there The XYZ Drifters or ABC and The Drifters, not to mention all the tribute bands to The Drifters. "We are proud the announce," said Mark Sonder, MM, CSEP and Chief Entertainment Officer of Mark Sonder Productions, Inc. and agent for The Drifters, "that we now have secured the rights to the group The Drifters. This means you can now book, advertise, promote THE DRIFTERS," finished Sonder. This all male group features 4 Drifters backed by a 4 piece orchestra and will now you can acquire them for meetings, conventions, events, festivals, concerts and casinos and performing all their great tunes throughout the USA. From the Oldies to Classic Rock, Classic R&B, Rock, R&B, and Pop. 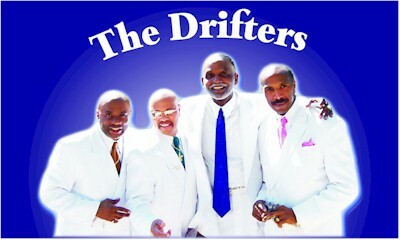 From the 1950s, 1960s, and 1970s, The Drifters are back where they were born and belong, the good ole USA. Welcome Back! Created in 1985 to fill a growing need for music, entertainment, speakers, headline entertainers and supportive production in corporate and association meetings, conventions and special events plus facilities, casinos and concerts, the company 30 years later has worked in the US, Canada, Mexico, South America and Europe.